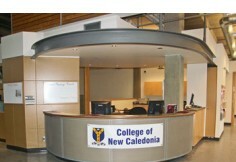 The College of New Caledonia (CNC) is a publicly-funded post-secondary institution. 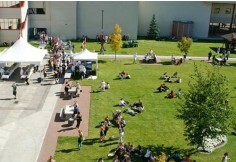 It was established in Prince George, British Columbia, Canada in 1969, and has since expanded across central British Columbia, with campuses in Prince George , Quesnel , Mackenzie , Burns Lake , Valemount , Fort St. James , Fraser Lake and Vanderhoof . CNC enrolls about 5,000 students each year (all campuses) in approximately 90 distinct programs in business and management, community and continuing education, health sciences, adult basic education / upgrading, trades and industry, social services, and technologies. As well, CNC offers university-level classes leading to degrees and professional programs in many subjects, with excellent transferability to universities in BC, Alberta, and elsewhere. CNC serves a large area of north-central BC -- approximately 117,500 square kilometres, or 12% of the province. The region's population is about 145,000, and it encompasses three school districts: #28 (Quesnel), #57 (Prince George), and #91 (Nechako Lakes). 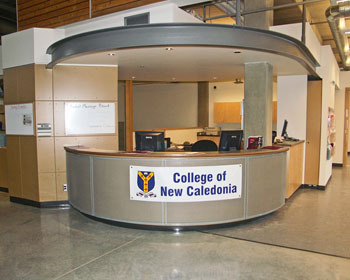 The College of New Caledonia, as a comprehensive college, provides access to lifelong learning and facilitates the achievement of personal and educational goals. We are responsive to the diverse needs of our students, our employees, and the communities in our region. In the dynamic, consultative environment, we deliver quality programs and promote the success of every student. 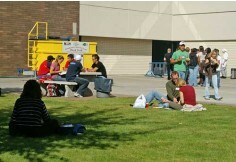 CNC has been providing post-secondary education for more than 35 years. Helping students learn is our top priority. University faculty are often heavily involved in research and many classes are taught by graduate students or teaching assistants. At CNC, all faculty are professional instructors who bring a wealth of practical experience to the classroom. Our faculty have a well-deserved reputation for being friendly and caring. Small enough to know you, big enough to grow you. CNC's commitment to teaching is also reflected in our small class sizes. You will receive personal attention during and outside of class. 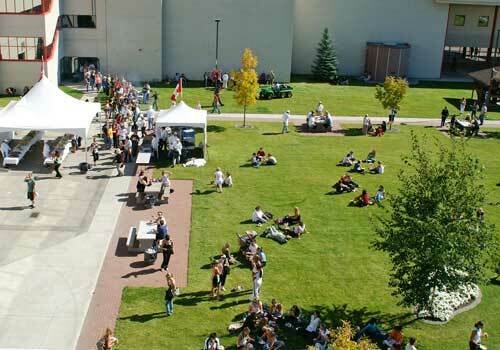 As post secondary tuition skyrockets, CNC remains one of the best values in higher education. We continue to have one of the lowest tuition rates among public post-secondary institutions. We are fully staffed to provide all the services you need to have a successful educational experience. 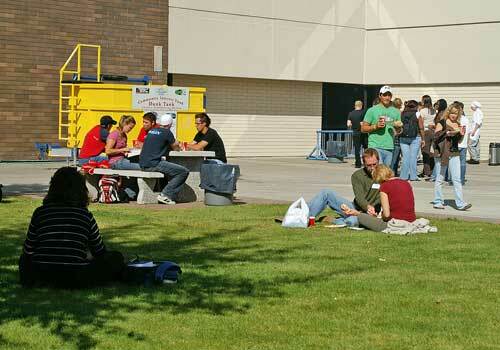 Our University Transfer program allows you to take the same courses offered at university for a fraction of the cost. These courses can then be transferred to university for credit toward your degree. Upon graduation from CNC, you join an elite group of some 9,000 alumni who are already making a difference all over the world within their chosen careers. Great people, great social activities. Meet friendly people and broaden your social horizons. Take part in lively classroom discussions, student activities, student clubs and organizations, and intercollegiate and intramural sports. The north offers a lifestyle worth boasting about. Our campuses are located in small, safe communities surrounded by spectacular wilderness. 5,000 students can't be wrong. Discover for yourself what 5,000 students each year already know. CNC is their top choice. Make it yours!